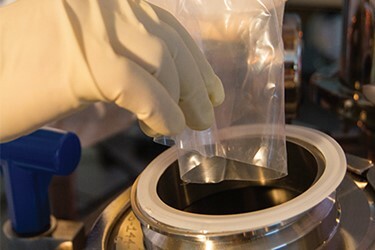 Many biopharmaceutical manufacturers are implementing single-use containment and transfer of media and buffer materials to prevent feedstock contamination and promote worker safety. Choosing the proper containment system can have a significant impact on productivity and profitability. Systems should be analyzed not only for their basic ability to contain the powders of interest, but also for how efficiently they integrate into the production process. For instance, will the system help to eliminate productivity bottlenecks, decrease material waste and the cost of raw materials and simplify the changeover of the line to new products? Is it robust enough to provide reliable transfer throughout the production run? And has it been designed from the ground up specifically to contain and release powders? Being able to answer these questions affirmatively is crucial to implementing a sound containment system. When evaluating powder containment and transfer systems The simplest approach to is to proceed step-by-step through the the following criteria to determine system applicability and efficiency.